Some of your favourite UK brands have a very limited (or non-existent) bricks & mortar presence in Spain, so buying online is the only option. Delivery charges are low or even free, but normally you’ll have to pay for returns. Make sure you read our tip on how to avoid returns charges. Online purchases in the EU come with a 14-day “cooling off” period, however not everything is covered. Items such as jewellery, cosmetics and underwear, as well as personalised goods. The advantage of being able to return stuff if you’ve just changed your mind is not so great if you need to pay for returns, so if you’re not sure weigh up your options first. Faulty and damaged goods returns shouldn’t be at your expense; however most companies expect you to foot the bill and then you’ll be reimbursed. When paying for returns most companies request that you use the normal postal service, not courier, and to request a proof of postage instead of using registered delivery. The EU website is available in English as well as other languages. Visit Marks and Spencer, choose your preferred language and sign-up to their newsletter, you’ll normally get an introductory discount off your first online order. The range of items available is more limited than at M&S UK, but growing all the time including an offers section. Free delivery is available on orders over 35€ (higher threshold during sales periods), below that standard delivery is 3.95€. Returns can be made on articles up to 35 days after purchase and have to be sent to an address in Spain. Visit Debenhams International site rather than their UK site for delivery to Spain. Prices are in pounds, with free delivery on orders over £50. Sign up for the newsletter (on home page) for info on promos. Returns can be made up to 28 days after purchase. Free shipping and free returns are available from Clarks multilingual website. Sign up for their newsletter to get 10€ off your first order. At Next you can get free shipping to Spain by courier in 2-3 days on orders over 30€. If you sign up for their newsletter you’ll get info about exclusive offers. 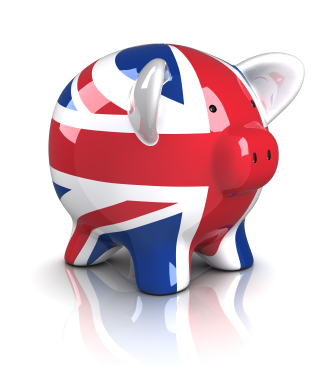 Returns must be made at the customer’s expense to an address in the UK. The famous “Never Knowingly Undersold” store delivers to Spain too. Prices can be shown in euros or pounds, with a delivery charge of £7.50 (mainland only). Just go to the John Lewis website and click on “international orders”. For reduced items when sales aren’t on, check out their special offers section and clearance items, with large discounts off original prices. Note: Check for items that are excluded from delivery abroad before placing your order. Woolovers has a large selection of wool jumpers and cardigans as well as cashmere, silk and cotton too. You can choose from a number of currencies including €, £ and $. Items have a 3-month period for returns, except sales items which have 2 weeks. Delivery is free on orders over £120, or £6 otherwise, and there’s a no quibble returns policy. Remember when sales aren’t on to check the offers page which is regularly updated. Avoid the possibility of having to pay for a refund by paying by PayPal. Until the end of 2016 if you need to return an item PayPal will reimburse the cost even for international returns. Up to 12 reimbursements of up to 30€ each can be claimed. If you’re a newbie to any online store, register, add items to your shopping cart and then abandon before payment. You’ll often get an email with a special discount to get you to buy (although it doesn’t always work!). Remember to sign up for our weekly newsletter to get more info on promos, discounts and special offers at these stores (and more! ).